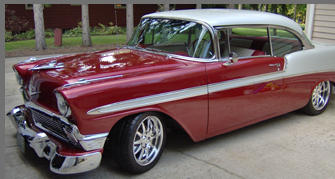 We make custom trunk panel kits for upholstery to fit custom classic cars. 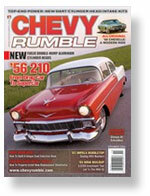 Our products have been featured in tech articles in magazines such as Classic Chevy, Chevy Rumble and Super Rod. Most panels are cut from 1/4 inch hardboard using a CNC machine to insure a precise fit every time and we now have NEW plastic trunk panels. All items can be upholstered to match your custom interior. Currently available through classic car parts dealers. You can view some of the products we have done or click here for a list of our distributors. Our fascination for anything with lasting significance, beauty and excellence and our appreciation for the long history of automobiles explain this penchant for Classic cars. 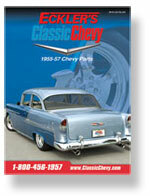 We make the best quality trunk panel kits for our clients because we share the love for classic and antique cars. We've been featured in a number of magazines. 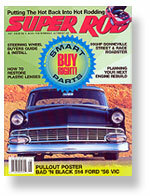 Such as Super Rod, Classic Chevy and Chevy Rumble. © 2010 Custom Trunk Panels Manufacturing.